There is plenty to explore in the Torres Straits! According to the famous Torres Strait legend, if you have a taste of the juicy fruit from the Wongai Tree, you will always return. 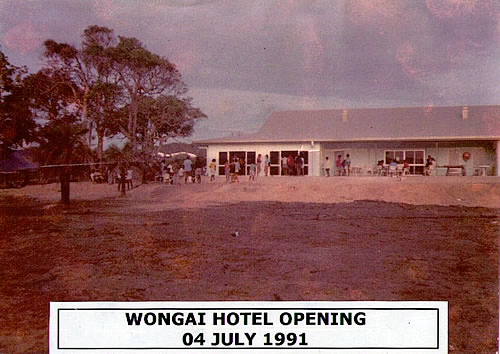 The Wongai Beach Hotel was built in 1991, and originally only consisted of a public bar and dining room with four hotel units. It was slowly but surely renovated until it grew into what it is today; a four star hotel boasting a public bar, beer gardens, restaurant, pool and spa, and gaming / Tab facilities. The whole premise has been landscaped and provides a safe secure haven for all guests and patrons. All of us Wongai-ans are proud of our own legend that The Wongai Hotel has become. With a small but close knit group of management and staff, our aim is to make you feel as at home as we do! Our friendly service and sense of family will be sure to make you feel welcome… and maybe even want to try out a Wongai fruit or two! Horn Island is part of the western Torres Strait Islands group at the tip of Cape York Peninsula, Australia’s northernmost point. Located approximately 150 kilometers off Queensland’s coast and just south of Papua New Guinea, Horn Island offers a truly remarkable island experience. Horn Island has a rich cultural history. Not only was it bombed eight times by the Japanese during the war, but gold was also discovered here in 1894! 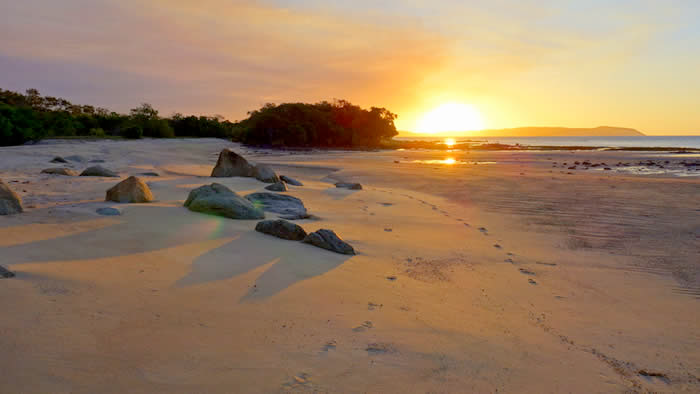 The traditional owners of the land, the Kaurareg people, gave Horn Island its traditional name – Ngurapai. Horn Island, a tiny 54km2, is home to 600 residents – most of which live in Wasaga village. 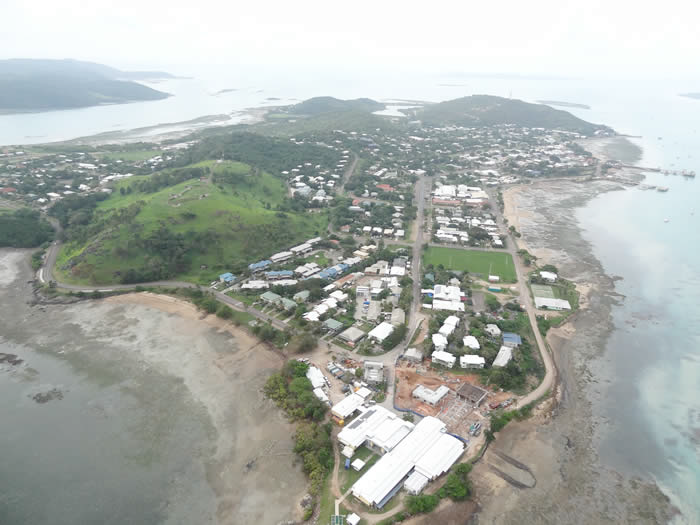 The majority of the population are Torres Strait Island locals, with an increasingly large number of people from other areas of Australia and the world choosing tomake Horn Island their home. Horn Island is home to the busiest regional airport in Australia. 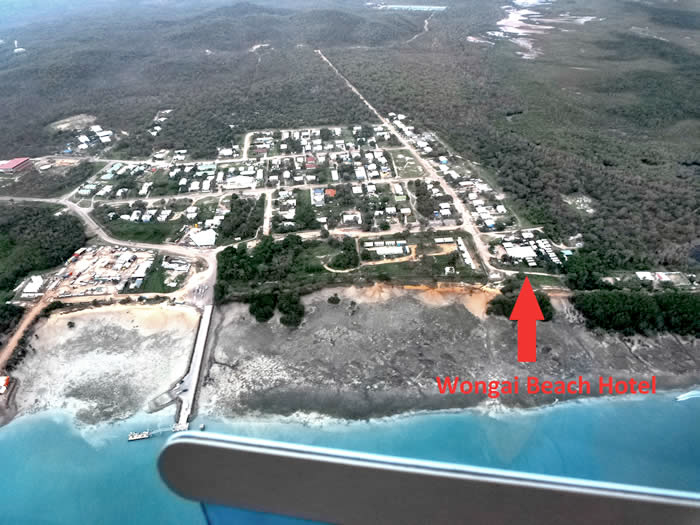 It is also the only airport in the Torres Straits that connects direct to mainland Australia – hence the name, “The Landing Strip of the Torres Straits”! Qantas Link flies direct from Cairns to Horn Island two to three times daily. Horn Island is home to a mini supermarket, takeaway and video store, all enclosed in the same building affectionately referred to by locals as ‘The Tin Shed’. Most things you will need and use in daily life can be found here, but if you require something a little more adventurous, a short 15 minute ferry ride to the nearby Thursday Island will provide you with a few more options! Our staff will be more than happy to help you out with arranging excursions around Horn Island, and to many other islands in the Torres Straits. If we aren’t able to help you directly, then we will know someone who will! 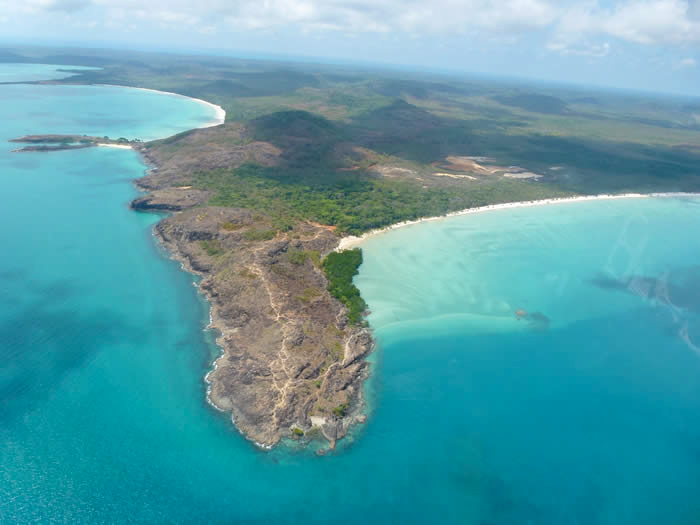 The Torres Strait Islands lie north of Tropical North Queensland’s Cape York Peninsula. Comprised of 274 small islands (17 of which are inhabited), the Torres Strait Islands are located in the waterway that separates Australia from Papua New Guinea. The Torres Strait Islands were first discovered in 1606 by Spanish Captain Torres, who named the newly found islands after himself. It was another 160 years before Captain Cook entered the region and claimed the entire east coast of Australia. These waters then became a trade route for ships travelling to India and Britain. Activities in the Torres Straits remain based around the people’s love of the sea, with fishing and diving being the major economic source. To travel to many of the remote islands in the Torres Straits group, permission must be obtained from the individual Island Councils. Thursday Island (or ‘The City’ as we Horn Island locals like to call it!) is just a short five minute ferry ride away. There are two ferry companies that provide the Horn – Thursday Island service; both running almost hourly on weekdays, and on limited services during the weekend. Thursday Island has everything you could possibly need, with a hospital, school, Police Station, Post Office, supermarket, hardware, Gab Titui Cultural Centre, Courthouse, and various different cafes, restaurants, bars, and retail stores. There are also a few different spots on the island well worth a look – such as the Japanese Pearl Diver’s Cemetery, or the old cannons on top of Green Hill Fort (which also serves as a great vantage point for many beautiful sunsets during the dry season!) Thursday Island is the administrative centre for the Torres Strait Islands, and was used as a base for Australian and American troops during World War II. Although Friday Island is mostly uninhabited, it is famous amongst the Torres Strait Islanders for its beautiful pearls, and great fishing and camping spots. 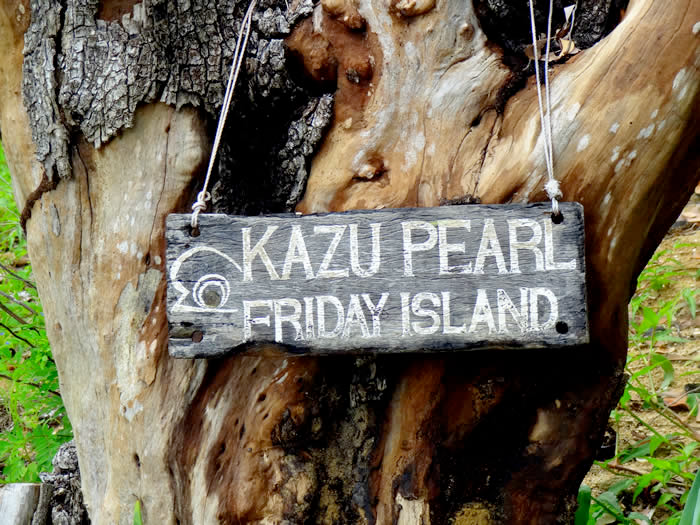 Take a day trip to visit the Kazu Pearl Farm, where local artist extraordinaire Kazu farms and handcrafts his own pearls. Pickup and drop-offs from Horn Island can be arranged, and a delicious lunch consisting of freshly caught local seafood is included in the entry price. This island paradise is well worth a visit! Organize a local boat or helicopter charter for the day and head out to the Tip of Australia -arguably an experience that’s not to be missed while you are visiting the Torres Straits! Don’t forget to snap a picture of yourself in front of the Tip’s famous sign! If things a little less adventurous are more your style, then catch the twice weekly ferry from Thursday Island to Seisia, Australia’s most northern community. Seisia is home to a popular beach front camping ground, and several shops to pass the day and night away before returning to Horn Island.